Since that moment of inspiration, perhaps revelation, I have consciously and deliberately made every effort to incorporate the awareness of gratitude into all aspects of my life. I confess that I was not always successful; my prayers, moments of meditation and contemplation were primarily focussed on the perspective of gratitude in the various phases of my daily experience. I continue to this day in the belief that gratitude is a gift of human perception that allows for some semblance of sanity, meaning, hope and happiness especially in the waning years of our lives. Without this outlook, we may sink into a state of mind of indifference, cynicism even despair. Gratitude does not seem to come naturally to most people, perhaps to none. Especially when we are young, it is natural, necessary, for us to stive in order to survive and thrive. 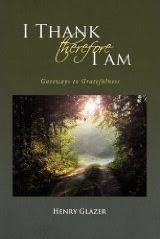 The awareness of being grateful is submerged somewhere in the depths of desire and the inescapable drive for more. In our youth our physiology and psychology place getting and spending ahead of gratitude and being satisfied. Of course there are isolated moments of being beholden for what is achieved and acquired; but gratitude stands on the sidelines during the this game that pits one against the challenges of overcoming obstacles and gaining new heights of acomplishment. The search for identity, for financial success, for proving one’s sexual prowess and gaining recognition and prestige in one’s society are so entirely dominant that the ego thirsts for more and little if any psychic room is left for the experience of gratitude and thankfulness to God, nature, the universe, life or others in the line of humanity who have left behind an easier and more enriching world for us and others who will follow. Our view of life is narrow, concentrated on the self and the orbit of those most closely connected with the self-family ,friends, immediate community. There is time to remedy wrongs, correct errors and seek atonement for those things we regret. There always seems to be a tomorrow. As we approach old age, however, tasks and expectations change; our reality is defined by a series of losses-loss of skin elasticity producing the dreaded dermatological nightmare of wrinkles; losses in hearing and vision; losses in energy levels; losses in metabolic rates and the loss of sexual interest, drive and capacity. Moreover, older years represent the loss of companionship; loved ones-spouses, friends, colleagues-loss of identity that for so long had been formulated and reinforced by activiity, function and role in society. Modern societies are not hospitable to the elderly; while tolerant, even respectful and helpful, nevertheless the young and the ideal of youthfulness persist as images of highest value and aspiration. “Yes, God made me,” the grandfather answered. “Yes, He did, “ the older man replied. For a few minutes the little girl seemed to be studying her grandpa, as well as her own reflection in the mirror while her grandfather wondered what was running through her mind. In the face of this bleak prospect of golden years that feel so tarnished and unwanted, years that are experienced not as genuine but as those belonging to fools who have no choice but to endure till the end in a state of hopelessness and despair, is there a place for gratitude? Whatever the spectrum of life’s many colors and hues, for most the spirit and soul remain as refuges of renewed hope, wisdom and joy. The older years bestow upon us the capacity to perceive life widely and deeply, with the freahness and innocence of a child and the insight and clarity of the experienced and veterans of living. For many the arrival of grandchildren, even great-grandchildren is the greatest of all gifts bestowed only in old age. Those still healthy and vigorous likewise can find a way to experience gratitude for physical and mental well-being. We can also take inspiration from the select few who are especially blessed with on-going ability to function and create and contribute even more meaningfully than in their earlier years. Wherever we find ourselves along the path of life’s gifts, gratitude and a sense of its awareness springs from our souls that with spiritual effort can continue to shine making our later years truly golden and precious. Perhaps paradoxically, as our years shorten, as time seems to race by, when our bodies and minds prepare for the home stretch, that is precisely the time during which our ability to be grateful is the keenest and most vibrant. To bask in the sun of gratefulness is a source of immeasurable joy and meaning. A Zen Buddhist, Lewis Richmond, recommends that elders go on “gratitude walks” in which they consciously notice and appreciate anything that evokes thankfulness-trees, leaves, birds, children at play. Many older people walk as exercise, a very effective activity that maintains bodily health. Setting aside a few minutes of that experience to pay attention to one’s surrounding and cultivate an attitude of gratitude goes far in elevating our spirits from places of despondency to heights of buouancy and greater lightness of being. Notions of ‘letting go,’ surrender, unclenching our hearts and minds, being receptive with the awe and naivete of the child , can fill the many moments of later years with the dazzling array of the world’s beauty and wonder. The young seek the adventure of the new and the unexpected.The old dwell in the richness of what is, and the serenity and fullness of what always was, the ecstasy of the eternal. An elderly woman and her little grandson whose face as sprinkled with freckles spent a day at the zoo. Lots of children were waiting to get their cheeks painted by a local artist who was decrating them with tiger paws. “You’ve go so many freckles there is no place to paint,” a girl in line said to the little boy. Embarassed the boy dropped his head. His grandmother knelt down next to him. “I love your freckles. When I was a little girl I always wanted freckles,” she said, while tracing her finger across the child’s cheek. Even to the final moments of life, gratitude grounds us in the ultimate joy of being alive. It is told that as death neared, one of the disciples of the dying master scoured the pastry shops for a confection that his master loved. In spite of his weakened condition, the master munched on the cake with utter pleasure. As his energy waned, the disciples leaned closer and asked if he had any final words to share. “Please tell us,” they urged eagerly. “My, but this cake is delicious!” the master said, and a moment later he breathed his last breath. 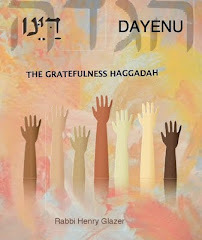 This Jewish New Year we arrive at is 5777 of the traditional Jewish chronology. In Hebrew, the last numbers-77-correspond to the Hebrew word -עז- which numerically adds up to 77; ע=70, ז=7. The word “OZ” means strength, might, power. 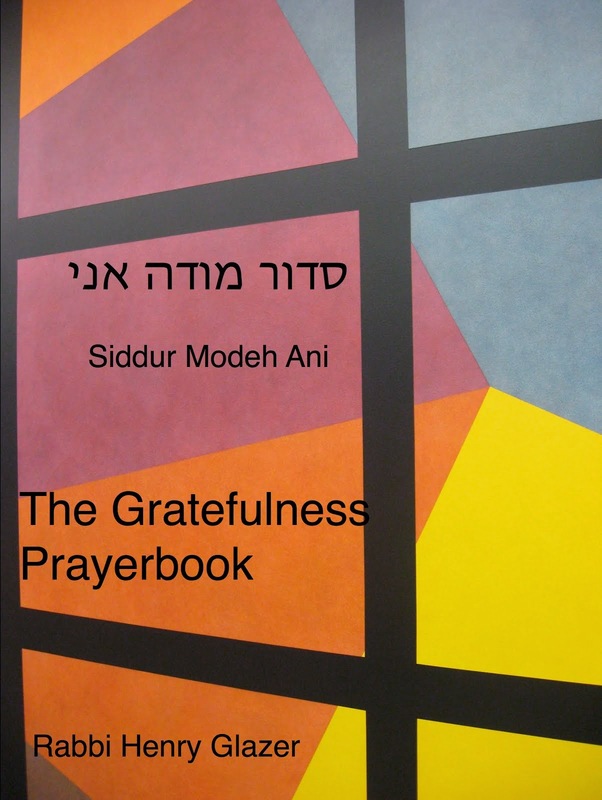 It is often used in the liturgy when we pray that God bless Israel with strength and peace. 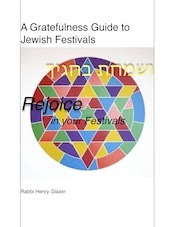 Curiously, unlike other Hebrew words with only two letters which cannot be converted into a verb such as כח-‘koach’-which also means might and strength, the word contained in the numbers of our New Year- עז-can be expanded into a verb form by adding one additional letter, the same letter as the second letter, spelling עזז. One of the forms of this word is להעיז- which means to dare. 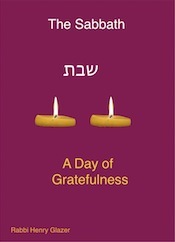 Thus, when we attempt to understand the unique translation of the strength embedded in the letters for 77-עז-t the inference derived from these numbers suggests the challenge and the opportunity of approaching the new year with our sights directed to the possibility of engaging in acts that are daring and courageous. Often we wish that certain things that appear beyond our reach can indeed become realized in our lives. They may involve a certain amount of risk taking, appearing somewhat out of grasp because of fear or the ostensible inaccessibilty of the that goal or objective. The New Year beckons us to re-evaluate our capacity to take upon ourselves the willingness to dare, to step into the unknown with faith in ourselves, in the fullness of life’s potential ,in God, and make every reasonable effort to achieve that which is more adventurous and that which has been untried. Certainly a strong desire accompanied by the worthwhileness of the goal represent ingredients that contribute to the likely actualization of our response of daring and strength. Perhaps the world in general can dare to explore possibilities for arriving at new ways by which to sustain our planet and bring peace to the human community. We need the “OZ”-the strength, courage and daring, to attempt to pursue untried paths-those of peace , pleasantness , of compassion and love.